Procelys is the world’s largest supplier of cell nutrients to the food cultures industries, delivering high-quality products to producers of yogurts, cheeses, meat,probiotics, health supplements, wine, vinegar and other foods. 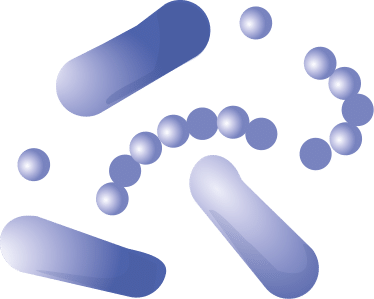 Our NuCel® product range includes high-performance yeast nutrients designed to address the diverse needs of: dairy starter cultures; lactic acid bacteria; aerobic, anaerobic and fastidious probiotic strains; and other specific strains for fermented food applications. Procelys’ expertise in this field is demonstrated through the performance and biological value of its cellular nutrients which are specifically designed to improve lactic bacteria growth, biomass production and overall activity for microorganisms in the broad food culture industry. NuCel®‘s food culture nutrients provide a high-quality source of readily available and soluble amino acids, peptides, vitamins and essential elements to ensure robust microbial growth and cell activity maintenance of a wide range of lactic starters, probiotics and other food cultures, while conforming to all relevant Food Regulations and Food Safety requirements. We are pleased to welcome you to our new website. We hope you will find the information you are looking for, but if not, feel free to contact us. Thank you for your visit and we hope to see you soon.